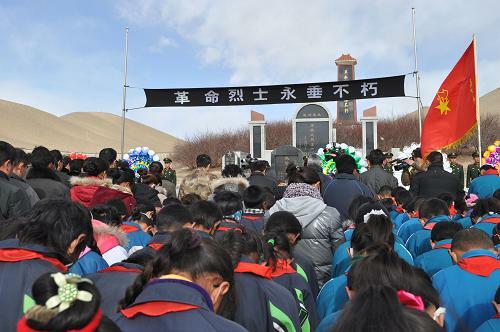 More than 5,000 people from many walks of life including pupils, officials and soldiers went to attend a memorial ceremony at the Shiquanhe Martyrs Cemetery in Ngari Prefecture on April 5, the traditional Qingming Festival, or the Tomb-Sweeping Day. Qingming Festival is originated from Hanshi Day (literally, Day with cold food only), a memorial day for Jie Zitui, a historical character who died in 636 BC in the Spring and Autumn Period. Chinese people memorize their beloved ones on the day. 3Will Dalai Lama really retire?